Thanks for looking at our Grriggles Rubber Chompy Romper Drumstick Dog Toy 4-34-Inch Parrot G! 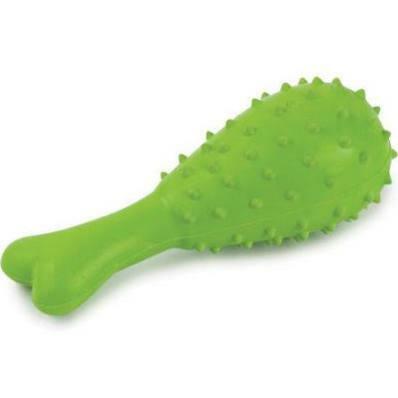 Grriggles chompy romper drumstick toy is made with strong rubber for long lasting playtime fun. Drum up some fun with these rubber dog toys. Each includes a hangtag. Available in parrot green color.